Here’s an interesting case of … something. I monitored the comments to see if somebody would point this out. Soon someone did, noting that the “Madfits” T has been “out of print for a couple of years.” Then there was a comment from someone who identified himself as Seemen Spermz, and who I guess might be Bondaroff, though it might also be a friend/associate who worked with him for aNYthing — in any case the person says he did the original design. He links to this site, which is pretty much information-free. Meanwhile I checked the site of Bondaroff’s new project, Off Bowery. The current clothing selections include some variations on the Madfits character — on some caps, a T, and a long-sleeve T. As you can see, the Madfits icon now sits a top a modified Mickey Mouse body, giving the finger. 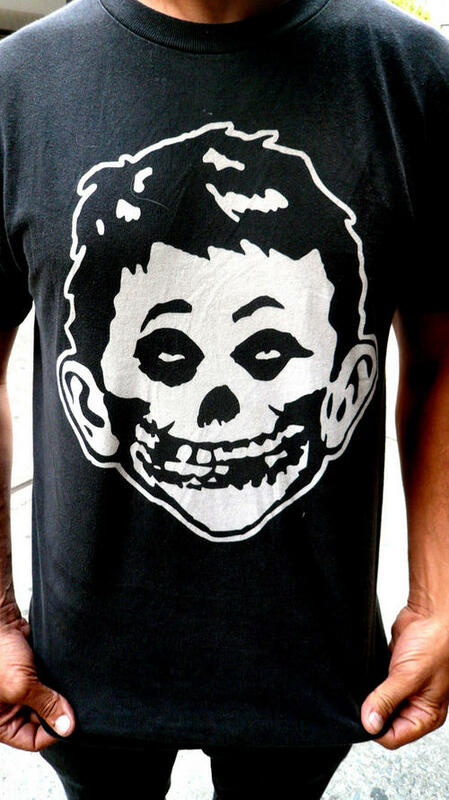 The listing says: “THE ALFRED E. MISFITS SHIRT: As seen on Boing-Boing. … You would have to be MAD not to want one!” It’s $12.95. Both Seemen Spermz and the Etsy seller joke about where to direct lawsuits. I assume it’s the case that Warner Bros., which owns Mad, would rather other people not make money off Alfred E. Neuman’s image. I’m also not sure that The Misfits would be into this, but who knows, maybe they wouldn’t care. And then there’s the question of value. Assuming you like this graphic, you’d probably see some value in having one of the original T-shirts from 2006. But would you find the same value in a copied version by someone else? Would the fact that it’s been made BoingBoing-famous in the meantime help or hurt? And if you already own one of the original T’s, has it just gained value, or lost value? I’m not really expecting answers to those questions, of course. (I mean, you can answer if you want to.) Just something to think about. Seeing as how the Misfits (or whoever owns the license for the skull) sent Nick (diamond supply co) a c&d for his ‘illegal’ parody of the misfits skull on a t-shirt http://farm4.static.flickr.com/3058/2648996217_7b2b3a9a7a.jpg a few years back, I think they probably would care. That being said, its hard for me to comprehend how the owner of the intellectual property that is the misfits skull can even try to protect it anymore. So many ripoff/parody/tribute misfits graphics have been done to the point that the graphic has really taken on a whole new meaning. 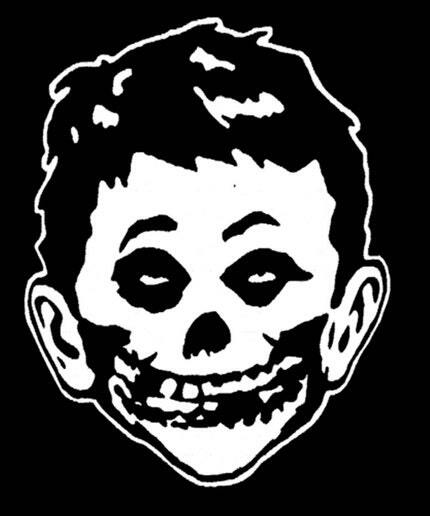 By now, the average consumer probably just assumes that anything with the misfits skull on it is just a rip anyway. And if the average consumer could reasonably be expected to know that an item is a parody, shouldn’t it protected? Previous Post: Milkvertising: Good? Bad? Both?